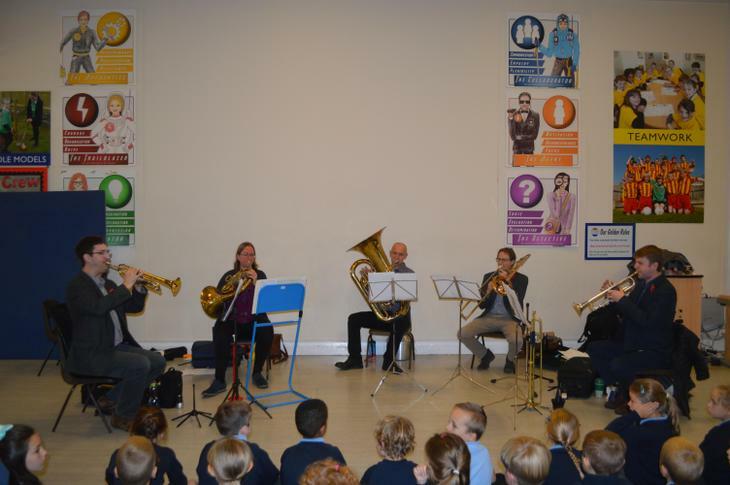 This morning, we were visited by a wonderful Brass Ensemble who are performing as part of the Bath Mozart Festival. They played a range of pieces and chose some that helped us to think about the WW1 Centenary. The children really enjoyed the concert and impressed the musicians with their knowledge of the subject and by their excellent listening skills.